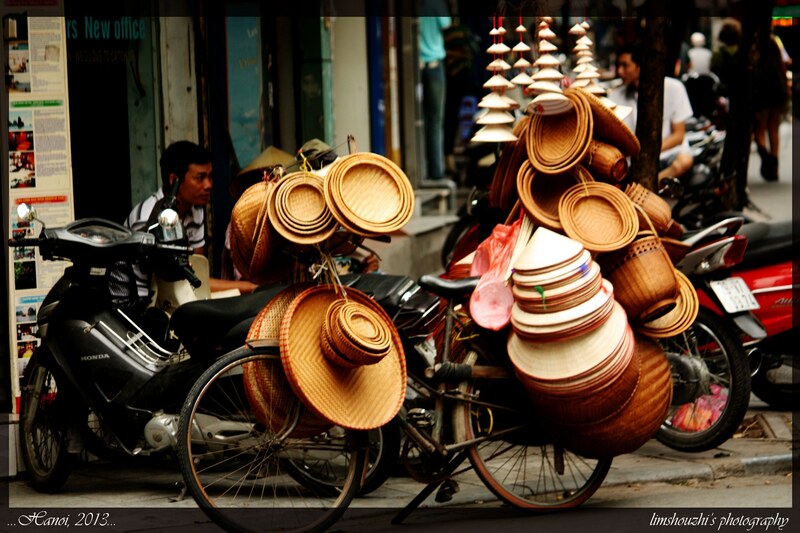 Hanoi, the capital of Vietnam, heart of the administrative centers is an all time favorite for every travellers to venture into it for food, souvenirs, relaxation, culture, history and of course not forgetting shopping! Here is the 1st stop before you expand your travel map into other parts of Vietnam with Noi Bai International Airport located just an hour away from Hanoi. We did not have sufficient time to explore the whole of Hanoi as we only got one and half day exploring it but it was full of fun! We booked a day trip from Haprotic, which cost 32USD per person for a private group. 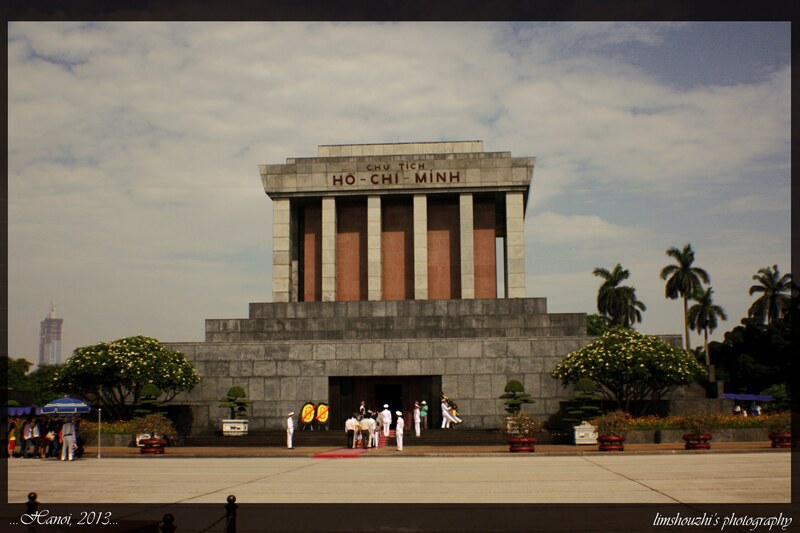 Our first stop was Ho Chi Minh Mausoleum, which is open to public only in the morning. Here is where Uncle Ho rested or Ho Chi Minh’s body is preserved and a place where visitors can express their admiration and gratitude towards the national hero. No pictures are allowed when you enter the mausoleum. There are rules for dress code and behavior strictly enforced by guard on duty. Legs must be well-covered (no shorts or miniskirts are allowed) and long shirt/blouse is mandatory (as shoulders not allowed to be exposed). 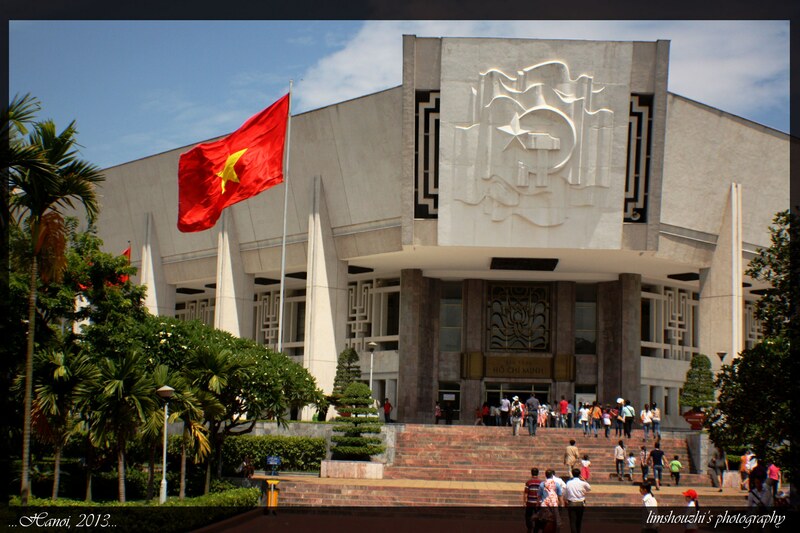 After the mausoleum, continue your tour to the presidential palace. It was constructed by Auguste Henri Vildieu, an official French architect between 1900 and 1906. Now it hosts government meetings. Last place before you finish your tour at Ho Chi Minh Mausoleum is the One Pillar Pagoda. One of the most sacred temple in Hanoi. Another tourist hotspot is Tran Quoc Pagoda, which lies at the bank of West Lake. 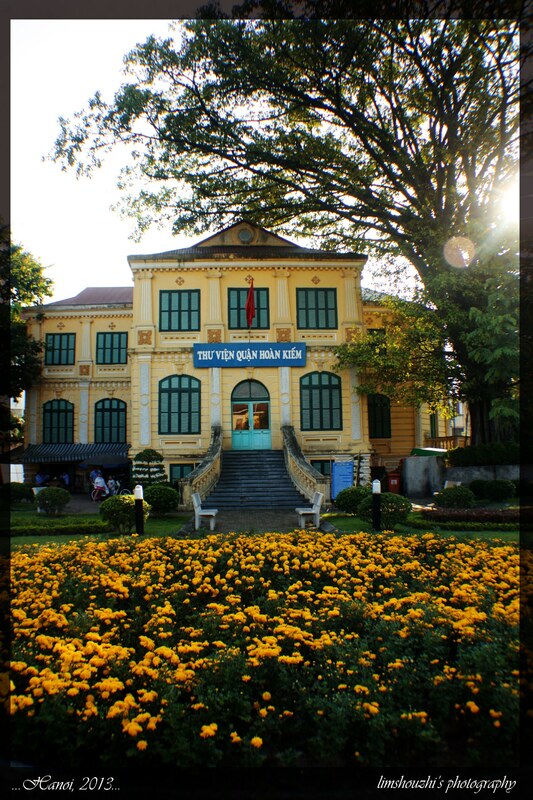 It is known as one of the most ancient pagoda in Hanoi with its history line of more than 1500 years. 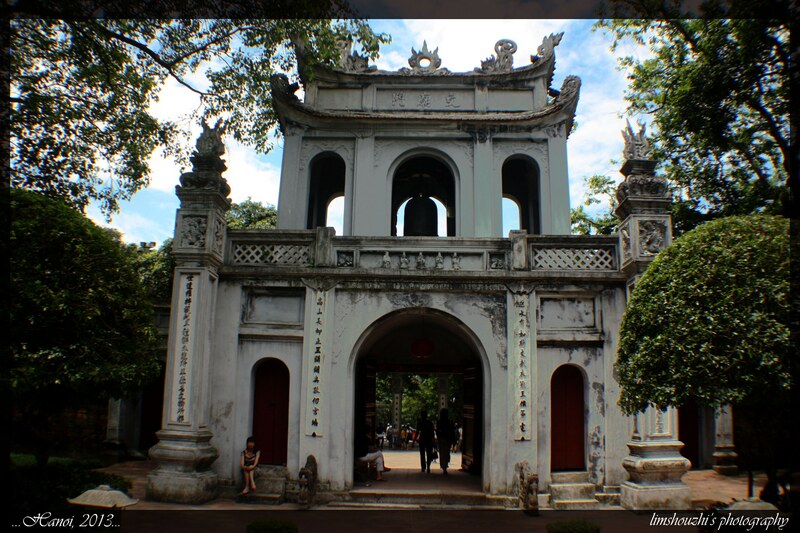 The Temple of Literature is about 10 minutes away from Hoan Kiem lake. 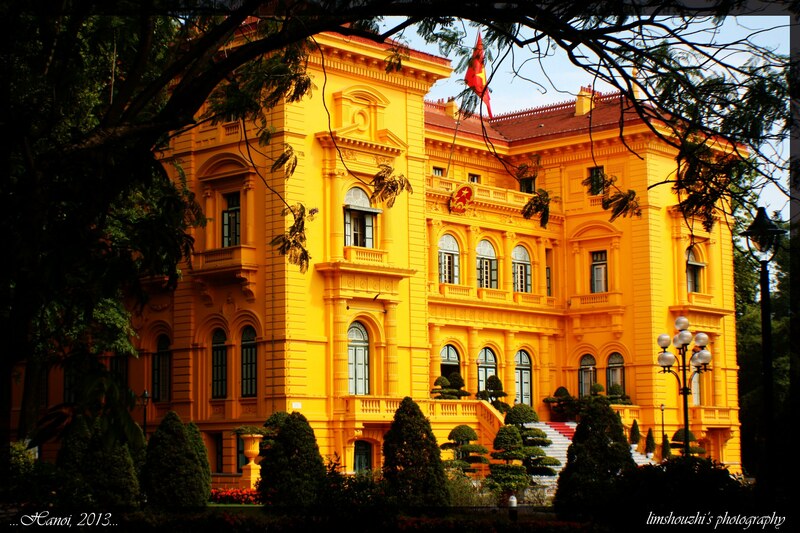 It was built in 1070 to honor Confucius and nowadays to celebrate the doctorates and high rank scholars of Vietnam. 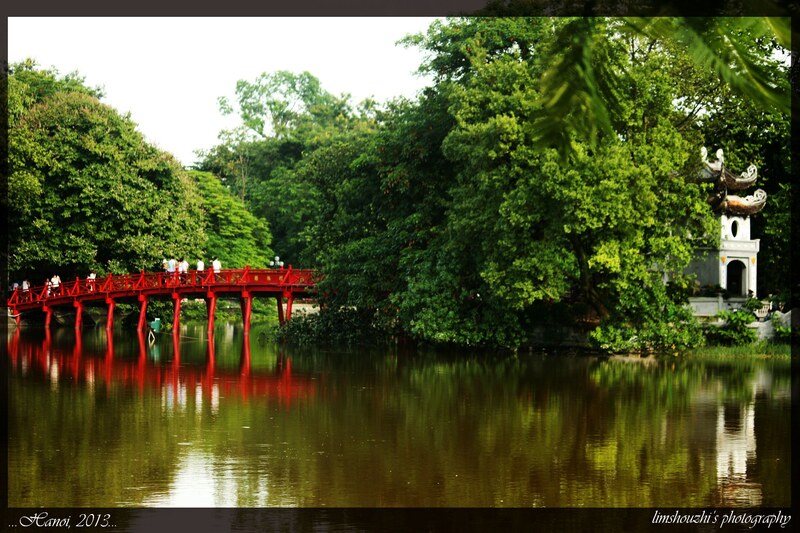 Hoan Kiem Lake, located at the heart of Hanoi, where you can see local people carry out all kinds of activities here, like Tai Chi-ing, playing Chinese Chess and jogging. 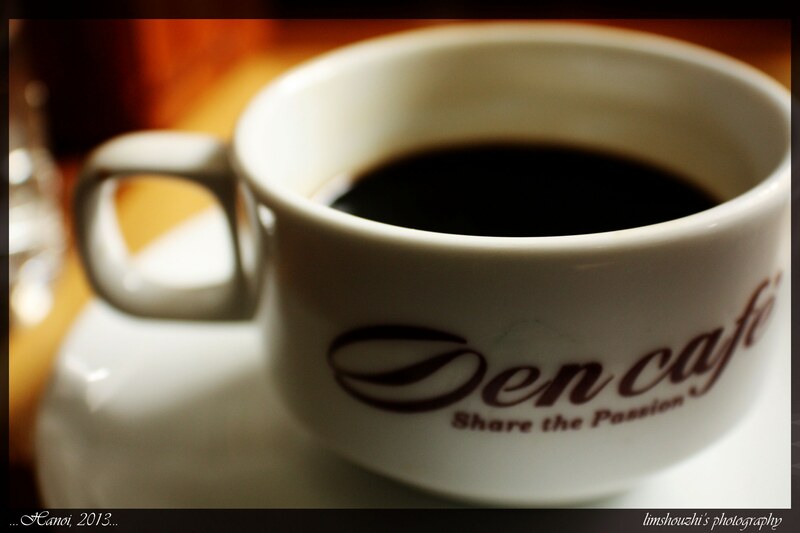 There are some café which serve some of the finest Vietnamese coffee! After a tiring day strolling around Hanoi, don’t forget to pamper yourself with a local massage or spa. It was so nice for it helps to relax your body, loosening those strained and taut muscles, after a tiring day. The price range between 20 to 25USD. Sometimes the receptionist of the hotel will offer you a spa and massage with a CHEAP price but it’s advisable not to trust them too much as some of them will be hoping for the commission later. 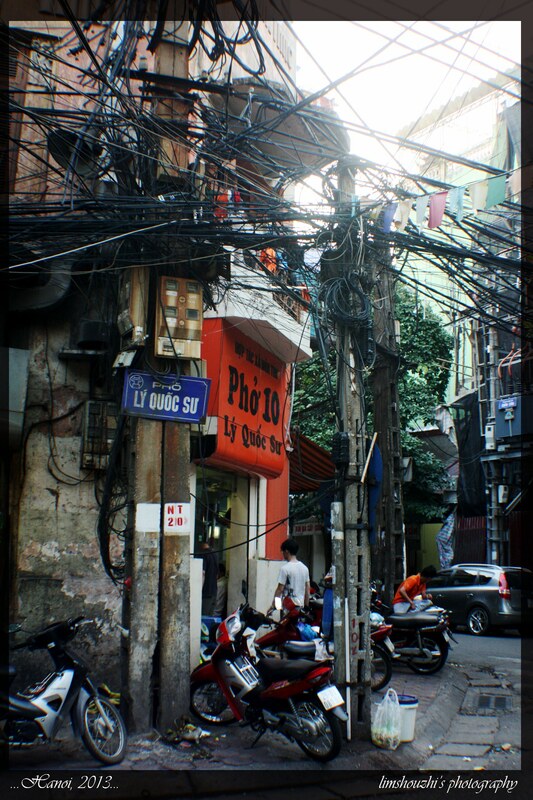 I’m sure while exploring the Old Quarters of Hanoi, you will be amazed by a very unique and ancient looking cathedral. It’s St Joseph’s Cathedral! 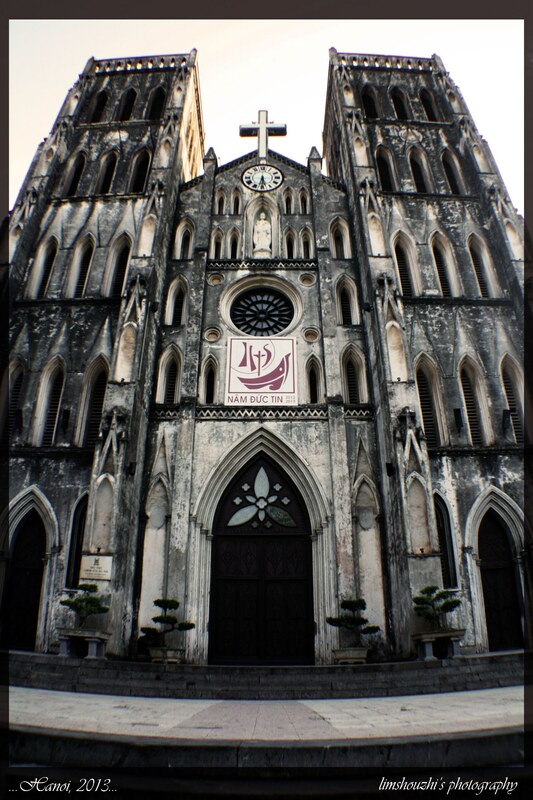 It was designed to resemble the Notre Dame of Paris, the oldest Roman Catholic Church in Hanoi. It’s the only place where you can find serenity and peace of mind at the heart of the city. 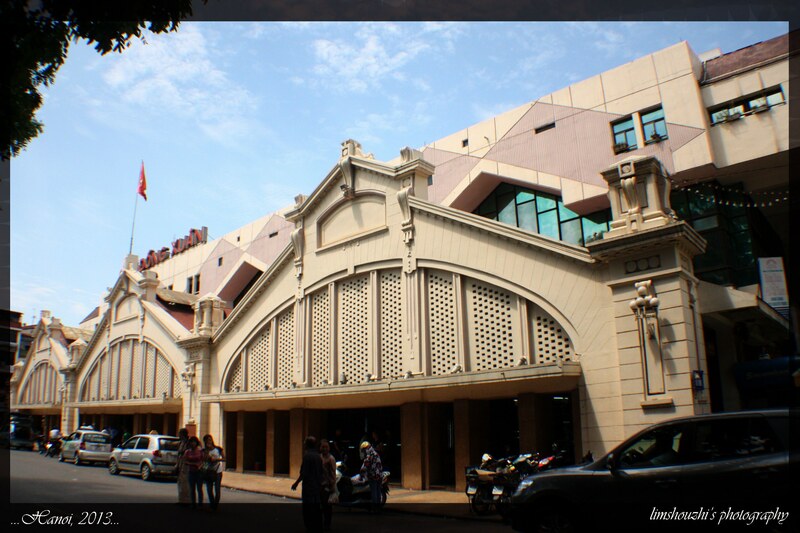 Braving yourself to cross the roads in Hanoi is another adventure you can gain by travelling n Hanoi. Trust me, each time when you plan to cross the road, it leads to adrenaline rush and palpitation! This is because there are too many motorbikes in Hanoi, and Vietnamese people don’t really heed the traffic sign. This is how we crossed the road in Hanoi; first take a deep breath, hold your hands tight, and just walk across, and let those bikers avoid you and refrain from looking at them. 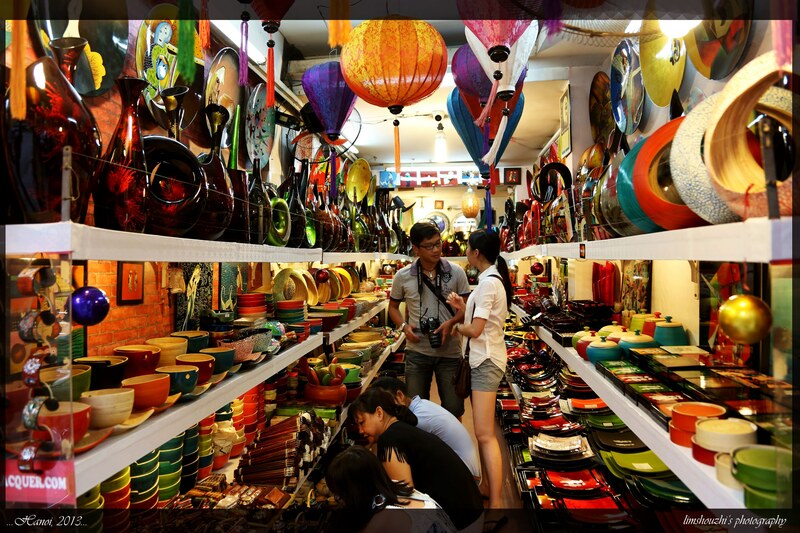 Hanoi is a shopping paradise for shopaholics. Here you can get a variety of goods at very low prices! What my mother, sister and xiangyun, did after nightfall were walking street to street and from shops to shops to get their dresses, gowns and souvenirs, etc. Well, I don’t know about them, but one thing I’m very sure is the souvenirs are very unique and attractive. Food in Hanoi are as delicious as in Penang, my hometown especially their noodle soup. It looks just like a simple plain soup, yet it taste like tom yam soup with a strong aroma of lemon grass , best served with a slice of lime on it. 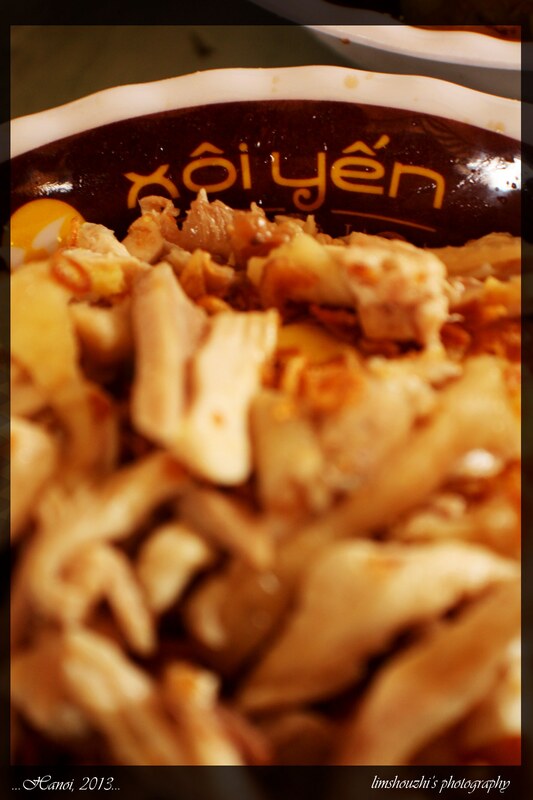 Another one not to be missed is Xoi Xeo, a sticky rice topped with ground de-hulled mung beans and fried onion slices. Overall, Hanoi trip was fun and amazing, and it provided us a chance for a reunion with my father who is working outstation most of the time. It gave us sweet memories. Gallery | This entry was posted in Photography, Travel and tagged Ho Chi Minh Mausoleum, Hoan Kiem lake, Noi Bai International Airport, One Pillar Pagoda, St Joseph’s Cathedral, Tran Quoc Pagoda, Vietnam, Xoi Xeo. Bookmark the permalink.